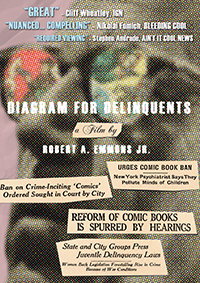 Sequart Organization is proud to announce the release of Diagram for Delinquents, the documentary film about Fredric Wertham, directed by Robert A. Emmons, Jr. In 1950, America was in a state of panic. Juvenile delinquency was destroying the very fabric of society. Ninety percent of all children were reading comic books. In 1954, psychiatrist Dr. Fredric Wertham wrote a scathing indictment of comics called Seduction of the Innocent. Its central premise: Comic books were the leading contributing factor to juvenile delinquency. That same year, Dr. Wertham testified at special hearings on comic books at the Senate Subcommittee to Investigate Juvenile Delinquency in the United States. Comics were on trial. Diagram for Delinquents captures the zeitgeist of late 1940s and early 1950s America and investigates how the funny books found themselves on the fire. Using expert and comic book insider interviews, never seen before historical photographs and films, and animation, Diagram goes further than any previous comic book documentary to explore and understand the controversial figure at the center of this American tale: Fredric Wertham. 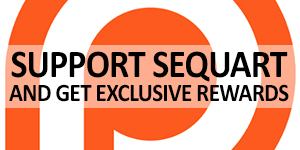 The movie is currently available for purchase as a download, including a version with over an hour of bonus material. The DVD is currently available for preorder and is expected to ship in late July or early August. Tagged Diagram for Delinquents, Fredric Wertham, Robert A. Emmons Jr.. Bookmark the permalink. 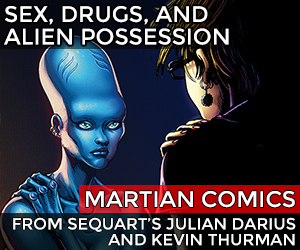 One thing I’m curious about Julian; 2000 AD and Warrior produced comics of the highest order. How did they avoid/work the code? Much of the furor around Wertham and the greater ultra-Right Wing conservatism arising from the McCarthy era was centered in the United States. Its greatest influence ran through the late 1940s to the early-to-mid 1960s. By that time, even the Big Two were pushing back i.e. 1969s Amazing Spider-Man 96-99 (Drug Story w/ Harry Osborn) as well as the Green Lantern 84 & 85 (Speedy is a heroin junkie). So by the time 2000AD came about in 1977, the CCA was already waning significantly in its ability to constrict comics content. Thanks for jumping in, Forrest! 2000AD and Warrior were British comics, so they didn’t need to use the Code, which you only needed if you were going to get U.S. distribution (outside of some head shops in the 1970s, comics specialty stores in the 1980s on, and bookstores once they started carrying graphic novels). Forrest, thank you for the answer. Since I have the two GL/GA ‘Hard Travelling Heroes’ paperbacks maybe I should have guessed that one. Julian I had this sinking feeling after I posted that the answer was that 2000AD and Warrior were magazines and maybe I should read dictionary entries for comic and magazine for future reference so I’m relieved it’s not! My personal memory of the CCA is DC being the first to publish without it for an issue of Alan Moore’s Swamp Thing run, but 2 minutes on Wikipedia shows me the aforementioned ASM story got there first.